Infinispan Spring Boot Starter 2.1.1.Final and 1.0.4.Final are out! We have just released Infinispan Spring Boot 2.1.1.Final and 1.0.4.Final. Both starters are now using Infinispan's last stable release: 9.4.4.Final. 9.4.4.Final provides full support to JDK 11, Spring 4 and 5. Concerning Spring 5, it includes Spring Session 2.1.2.RELEASE support. Infinispan 9.4.4.Final and 10.0.0.Alpha2 out with Spring 5 support! Fixes for JDK 11 compatibility. Improves Cache#size() performance when using shared cache stores. Don't forget to checkout the Infinispan 10 road map blog post to find out all that's coming. Today we are releasing 10.0.0.Alpha1 and 9.4.2.Final. We have begun working on what will become Infinispan 10. As with all new major releases, this will come with a number of important changes. We are working on a new lightweight server, currently dubbed ServerNG, which will supersede the current WildFly-based offering. The new server will have a smaller disk and memory footprint, a new RESTful admin interface, improved security. It will still use familiar components (Elytron for security, Narayana for transactions, etc) but we hope that the installation and usability experience will be most improved. A dedicated blog post will describe in detail what is coming. The persistent storage format will be changed so that it will be easier to transparently make changes to it without requiring further exporters/importers. The listener implementation will be replaced with a non-blocking implementation. The current Infinispan API, based around Java's ConcurrentHashMap design, does not offer the flexibility required to support modern reactive designs as well as the various extensions we've added over the years (counters, multimaps, etc). We are therefore working on a new modern API design which we will be describing with a number of blog posts in the near future. We are replacing the JDBC connection pool implementation with Agroal. Operators are all the rage in the Kubernetes world, and we are working on an Infinispan Operator which will take care of managing and monitoring the health of an Infinispan cluster, handle scale up/scale down safely, perform upgrades and more. Last week we showed you how to easily run Infinispan on top of OpenShift. This week we're trying to do the same on Minikube, a tool that makes it easy to run vanilla Kubernetes locally. Although we've already covered the topic in the past, we felt the descriptors needed a permanent location and an update to the latest Infinispan releases. Detailed instructions can be found in this repository. With OpenShift, we took advantage of Templates which allow a set of objects to be parameterised. A rolebinding so that Kubernetes API can be queried when forming a cluster. A secret for plain authentication. Before applying the descriptors, download and install Minikube. Then, set a profile, select the VM driver, give it enough CPU and memory for your experiments, and start it. $ kubectl apply -f .
Once all pods are ready, you should verify the 3-node cluster has formed correctly (find out how in the README file). Hotrod clients C++ and C# 8.3.0.Final are out! The C++ and C# 8.3.0.Final releases are out! Media Types: use differents media-types to encode (key,value) pairs. Source code, binaries and docs are available as usual at the links below. The fastest path to running Infinispan on OpenShift! The repository has been simplified and flattened out to only leave essential information. Minishift is the preferred way to get started with Infinispan and OpenShift, so we've tailored the instructions for this set up. OpenShift templates are now YAML based which is less verbose, but more importantly, allows Infinispan Server XML configuration to be shown as-is. This makes it easier to directly modify the XML in the template itself. These two simple steps will get you a single node Infinispan Server running! A more detailed getting started guide can be found in the repository's README file. Infinispan 9.4.1.Final and Infinispan Spring Boot Starter 2.1.0.Final are out! We have just released Infinispan 9.4.1.Final and Infinispan Spring Boot 2.1.0.Final. Complete release notes can be read here. Infinispan Spark, Infinispan Hadoop and Infinispan Kafka have a new fresh release each! The native Apache Spark connector now supports Infinispan 9.4.x and Spark 2.3.2, and it exposes Infinispan's new transcoding capabilities, enabling the InfinispanRDD and InfinispanDStream to operate with multiple data formats. For more details see the documentation. 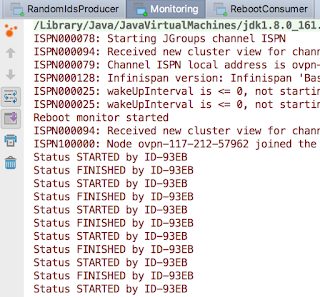 The connector that allows accessing Infinispan using standard Input/OutputFormat interfaces now offers compatibility with Infinispan 9.4.x and has been certified to run with the Hadoop 3.1.1 runtime. For more details about this connector, see the user manual. Also make sure to check the docker based demos: Infinispan + Yarn and Infinispan + Apache Flink. Last but not least, the Infinispan Kafka connector was upgraded to work with the latest Kafka (2.0.x) and Infinispan releases (9.4.x). Many thanks to Andrea Cosentino for contributing this integration. This is a bug fix release and users currently on 9.3.x are encouraged to upgrade, specially when using the query functionality. For a list of fixes, please consult the release notes. We have recently released infinispan-spring-boot-starter 2.0.0.Final. This version supports Spring Boot 2.1 and Infinispan 9.4.0.Final. Before this release, some important features - such as near caching - were only configurable by code. From now on, we can set all of the Hot Rod client configuration using the hotrod.properties file or the Spring application YAML. The latter is an important community requirement we had. Let's see how to speed up our applications performance with near caching! Just as a quick reminder, Infinispan can be used embedded in your application or in client/server mode. To connect you application to a server you can use an Infinispan Client and the Infinispan “Hot Rod Protocol”. Other protocols are available, such as REST, but Hot Rod is the most recommended way since it is the one that supports most of the Infinispan functionalities. From the Infinispan documentation: Hot Rod client can keep a local cache that stores recently used data. Enabling near caching can significantly improve the performance of read operations get and getVersioned since data can potentially be located locally within the Hot Rod client instead of having to go remote. Near caching can improve the performance of an application when most of the accesses to a given cache are read-only and the accessed dataset is relatively small. When an application is doing lots of writes to a cache, invalidations, evictions and updates to the near cache need to happen. In this scenario we won't probably get much benefit. As I said in the introduction, the good news is that this feature can be activated just by configuration. Code doesn't change, so we can measure the benefits, if such exist, in a very straightforward way. I have created a very simple application, available here. 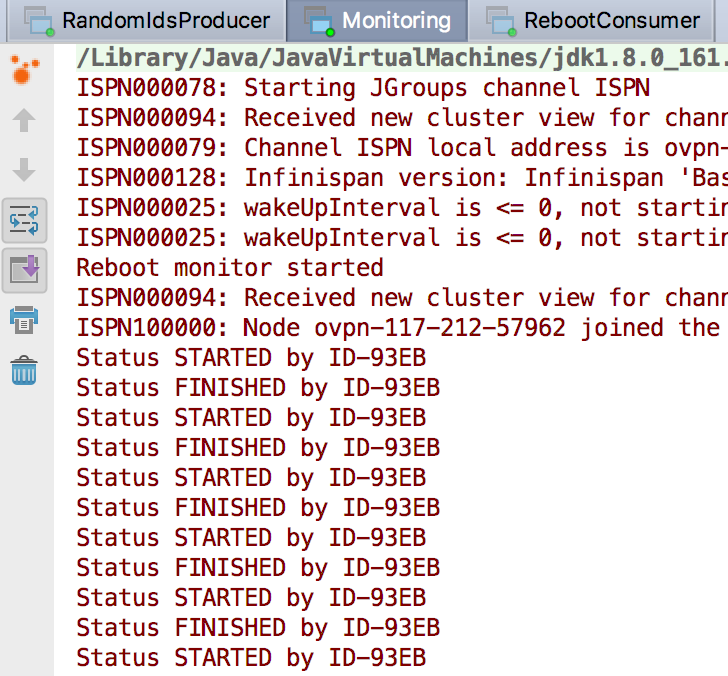 Maven, Java 8 and an Infinispan server are required to run it. You can download the server or use docker. This application loads the required data to a remote cache: a list of some of the Infinispan contributors over the last decade. The reader application does 10.000 accesses to the contributors cache. Using a random id, I call 10.000 times the get method. The job gets done in my laptop in ~4000 milliseconds. Near Cache Mode: DISABLED or INVALIDATED. Default value is DISABLED, so I turn it on with INVALIDATED. Max Entries: Integer value that sets the max size of the near caches. There is no default value, so I set up one. Cache Name Pattern: String pattern. For example "i8n-. *" will activate the near caching for all the caches whose name starts by "i8n-". Configuration can be placed in the hotrod-client.properties, Spring-boot configuration or code. With the Infinispan Spring-Boot Starter, I can add custom configuration using the InfinispanRemoteCacheCustomizer. My dataset contains 25 contributors. If I activate the near cache with max 12 entries and I run my reader again, I get the job done in ~1900 milliseconds, which is already an improvement. If I configure it to hold the complete dataset, I get it done in ~220 milliseconds, which is a big one! Near caching can help us speed up our client applications if configured properly. We can test our tuning easily because we only need to add some configuration to the client. Finally, the Spring-Boot Infinispan Starter helps us build services with Spring-Boot and Infinispan. Further work will be done to help Spring-Boot users work with Infinispan, so stay tuned! Any feedback on the starter or any requirement from the community is more that welcome. Find us in Zulip Chat for direct contact or post your questions in StackOverflow! Native JSON and Node 8.11 baseline in Node.js client 0.6.0!! As well as updating the client so that it understand the latest Hot Rod protocols in Infinispan 9.4.0.Final, this version comes with native JSON object support. To make the Node.js client backwards compatible, the client still treats key/value pairs as String by default. If you want to use native JSON objects, you have to explicitly configure the Node.js client to do so (see example). Starting with this version, we've upgraded the base Node version requirement to 8.11, which is the latest stable release branch at the time of writing. With such upgrade, the client no longer needs to use external promise dependency which was know to leak. If you're a Node.js user and want to store data remotely in Infinispan server instances, please give the client a go and tell us what you think of it via our forum, via our issue tracker or via Zulip on Infinispan channel. Infinispan Spring Boot 2.0.0.Final is out! We have just released Infinispan Spring Boot 2.0.0.Final. If you are wondering why it is worth to use this starter, read Sebastian's article here! You can find the release in the maven central repository. Infinispan is 10 years old this month, and what better way to celebrate than with a brand new Final release !!! 9.3 brought the segmented on-heap memory container. 9.4 extends this to provide the benefits of segmentation to off-heap as well as all of the core cache stores. Watch as your bulk operations (size, iteration, streams) get a big performance boost ! To paraphrase the Grand Moff Tarkin, “The last remnants of Compatibility Mode have been swept away”. Transcoding, i.e. the ability to transparently convert between a number of formats across different endpoints, is now “fully operational”. Hot Rod transactions now support recovery. All of the configuration can now be supplied via the properties, which also means easier integration with other frameworks, such as Spring Boot. Although not as exciting as new features, we continued our work to improve the stability, reliability and performance of all aspects of Infinispan. Get it, Use it, Ask us! Please download, report bugs, chat with us, ask questions on the forum or on StackOverflow. Welcome to the first of several blog posts that describe the segmentation of containers that Infinispan uses to store data. Some of you may have noticed in the previous 9.3.0.Final notes that we announced a new feature named “Segmented On-Heap Data Container”. We also mentioned that “It improves performance of stream operations”, but what does that really mean? What is a segmented data container and why does it matter? The data is distributed between the nodes with only two copies of each entry available. However, the data itself is stored internally in the same Map instance. As a result, when performing operations on all entries in the cache, Infinispan must iterate over the same data multiple times. This degrades performance. As of Infinispan 9.3, a segmented data container is available to separate data by segments. Although only on-heap bounded and unbounded implementations are currently available. Because Infinispan internally reasons on data in terms of segments, a segmented data container lets Infinispan process data only in specific segments. This allows for operations performed upon all entries to require iteration over the data only once. So with the above example you might be thinking that the performance increase maximum is two times throughput, since numOwners is two. This is close, but not quite correct. While iterating on the data we also have to determine what segment an entry belongs to. With a segmented container we know this already, so there is no need to calculate that. This provides additional performance, as you will see. The preceding graph is the result of the iteration methods. As you can notice the performance increase isn’t that much… why not?!? Unfortunately, remote iteration requires a lot of network overhead, so we don’t get to see the full benefits of segmentation. But at least it is about 5-12% faster, not too shabby. If you notice there is huge increase in performance: almost a three fold increase over the non-segmented container, even though numOwners is only two. The old segment calculation adds a bit of overhead compared to just incrementing a number. So keep in mind this change will show a larger gain in performance if the result returned is smaller, especially if it is a fixed size, such as a single int for Cache#size. What about gets and puts? Having the container segmented should also affect get and put performance as well, right? In testing the difference for get and puts are less than one percent, in favor of segmentation due to some optimizations we were able to add. So the performance gains are noticeable, especially when the remote operation returns a small data set. But how can a user configure this? This is the nice part, due to no performance loss with other operations the container will always be segmented as long as the cache mode supports segmentation. That is if it is a Distributed, Replicated or Scattered cache. Since this feature has been around a while already, we actually have users gaining benefits from this feature. An example can be found at https://developer.jboss.org/message/983837#983837. In this case the user only upgraded to Infinispan 9.3 and received over a three-fold increase in performance when using distributed streams. It actually starts to bring distributed streams performance within range of indexed query for some use cases. So, by upgrading your application to Infinispan 9.3 or newer, you will benefit from these improvements. There will be future posts regarding segmentation, including support for stores. Either way please feel free to download Infinispan, report bugs, chat with us, ask questions on the forum or on StackOverflow. our original plan was to release 9.4 Final today, but we have decided to delay the release by an extra sprint (3 weeks). For those of you on our stable branch, we also released a 9.3.3 with some bug fixes. Infinispan Spring Boot Beta2 is out! We have just released Infinispan Spring Boot 2.0.0.Beta2. Infinispan 9.3.2.Final and 9.4.0.CR2 are out! We have just released 9.3.2.Final and 9.4.0.CR2. 9.3.2.Final includes bug fixes and improvements. The full list of 9.3.2.Final fixes are here. 9.4.0.CR2 has been released due to an internal issue we experienced releasing CR1. You can find both releases on our download page. Please report any issues in our issue tracker and join the conversation in our Zulip Chat to shape up our next release. We have just released 9.4.0.CR1 which includes bug fixes and improvements. The full list of 9.4.0.CR1 fixes are here. You can find the release on our download page. Please report any issues in our issue tracker and join the conversation in our Zulip Chat to shape up our next release. Hotrod clients C++ and C# 8.3.0.Beta1 are out! The C++ and C# 8.3.0.Beta1 releases are available! Main feature for this release is: transactions. Clients can now run sequence of hotrod operations in a transactional way. Basic methods are provided to begin, commit or rollback a transaction over an hotrod connection (hotrod 2.7 and Infinispan 9.3+ are required). Source code, binaries and docs are at the usual place. Thank you for following us! Infinispan Node.js client 0.5.0 was released last week. It comes with much improved stability under heavy load conditions and hence it's a recommended upgrade for any current users. On top of that, a configuration option called topologyUpdates (true (default) / false) has been added to disable topology updates. This can be useful when trying to access Infinispan server running within a Docker container on MacOs. Without this option to disable topology updates, Node.js client receives internal Docker IP addresses on first contact which cannot be accessed from outside Docker on MacOs. See this previous blog post for more details. The full list of 9.4.0.Beta1 fixes are here. The Infinispan Spark connector version 0.8 has been released and is available in Maven central and SparkPackages. This is a maintenance only release to bring compatibility with Spark 2.3 and Infinispan 9.3. For more information about the connector, please consult the documentation and also try the docker based sample. For feedback and general help, please use the Infinispan chat. See the full list of bug fixes here. The Spring Cache provider now supports two configuration properties with which you can determine how long to wait for read and write operations respectively (ISPN-9301). You can now obtain nanosecond-resolution statistics for average read/write/remove time (ISPN-9352). Admin Console: You can now delete cache from Administration console (ISPN-7291). The full list of 9.4.0.Alpha1 fixes is here. Hotrod clients C++ and C# 8.3.0.Alpha1 are out! The C++ and C# 8.3.0.Alpha1 releases are available! For the .NET Core lovers, there's a work in progress to implement the dotnet core build for the C# client . Features list, code and bits are available as usual:   . So, if you want to chat with us, join us on the Infinispan Zulip Organization. Next is 9.3.0.Alpha1 which is the first iteration of our next release. The main item here, aside from bugfixes and preparation work for upcoming features, is the upgrade of our server component to WildFly 12. Danke Javaland, Merci Devoxx France! Ever since we started the Infinispan project, I simply don't recall a time busier than the current one! As usual we're working on new features and supporting our community and enterprise users, but on top of that we're working on a big scale demo that we hope you are going to like it! Javaland was a very enjoyable conference set in a theme park near Cologne. The sessions were a mix in German and English. Although my German is not very good, I was able to follow some of the sessions. On top of that, Ray Tsang from Google joined Clement and I to deliver a 3 hour streaming data hands-on lab at Devoxx France. This was the same workshop we delivered in Devoxx Belgium and Codemotion Madrid in 2017. The big difference was that instead of having the users run it locally on their laptops within a virtual machine, they could run OpenShift and all the components inside of Google Cloud Platform. The users had a better experience as a result of not having to deal with a virtual machine :). I'd like to say special thanks to Ray for the Google Cloud Platform test accounts and the support during the workshop. Finally, many thanks to all attendees that came to the sessions, and to the organisers/sponsors for creating two outstanding events! Infinispan Spark connector 0.7 released! 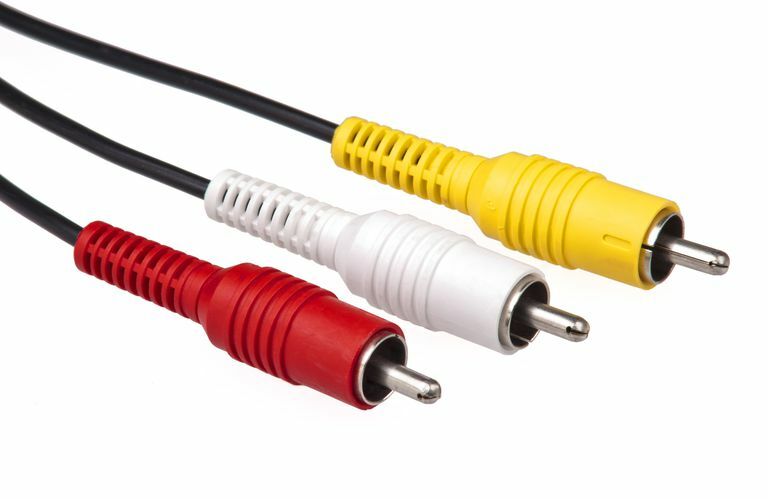 A new version of connector that integrates Infinispan and Apache Spark has just been released! This release brings compatibility with Infinispan 9.2.x and Spark 2.3.0. Also included a new feature that allows to create and delete caches on demand, passing custom configurations when required. For more details, please consult the documentation. To quickly try the connector, make sure to check the Twitter demo, and for any issues or suggestions, please report them on our JIRA. As usual you can find all the bits on our website. If you find any issues, don't hesitate to report them on our issue tracker. Welcome to the third in a multi-part series of blog posts about creating Eclipse Vert.x applications with Infinispan. In the previous blog posts we have seen how to create REST and PUSH APIs using the Infinispan Server. The purpose of this tutorial is to showcase how to create clustered Vert.x applications using Infinispan in embedded mode. Infinispan can be used for several use cases. Among them we find that it can be used as the underlying framework to cluster your applications. Infinispan uses peer-to-peer communication between nodes, so the architecture is not based on master/slave mode and there is no single point of failure. Infinispan supports replication and resilience across data centers, is fast and reliable. All the features that make this datagrid a great product, make it a great cluster manager. If you need to create clustered applications or microservices, this can be achieved with Vert.x using the Vert.x-Infinispan cluster manager. The code of this tutorial is available here. Let’s start with a dummy clustered system with 3 verticles. Produces randomly [0,1,2] values every 1000 milliseconds and sends them to the event bus "ids" address. Consumes messages from the event bus "ids" address, and launches a "reboot" that lasts for 3000 milliseconds whenever the value is 0. If a reboot is already happening, we don’t need to relaunch any new reboot. When a reboot starts or ends, a message is sent to the event bus to the "reboot" address. We use a simple boolean to check if there is a reboot going on. This is safe because every verticle is executed from a single event loop thread, so there won’t be multiple threads executing the code at the same time. 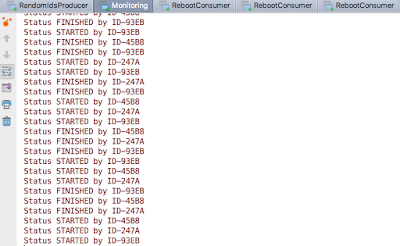 Consumes monitoring messages from the event bus "reboot" address and logs them. 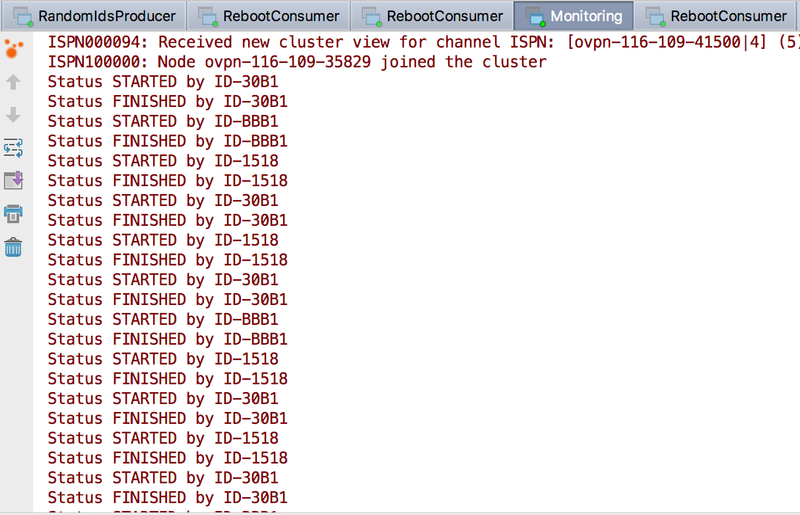 Add the cluster manager maven dependency. 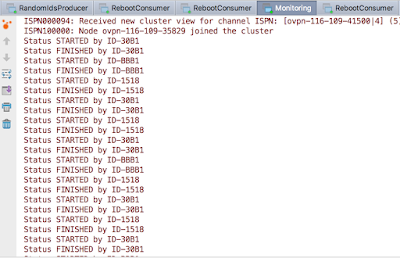 Run and deploy each verticle in cluster mode. Each Verticle class has a main method that deploys each verticle separetly. Example for the Monitoring verticle. Each clustered application contains - or embeds - an Infinispan instance. Under the hood, the 3 Infinispan instances will form a cluster. Imagine you need to scale the Reboot Consumer application. We can run it multiple times, let’s say 2 more times. The two new instances will join the cluster. In this case, we have “ID-93EB” ”ID-45B8” and “ID-247A”, so now we have a cluster of 5. 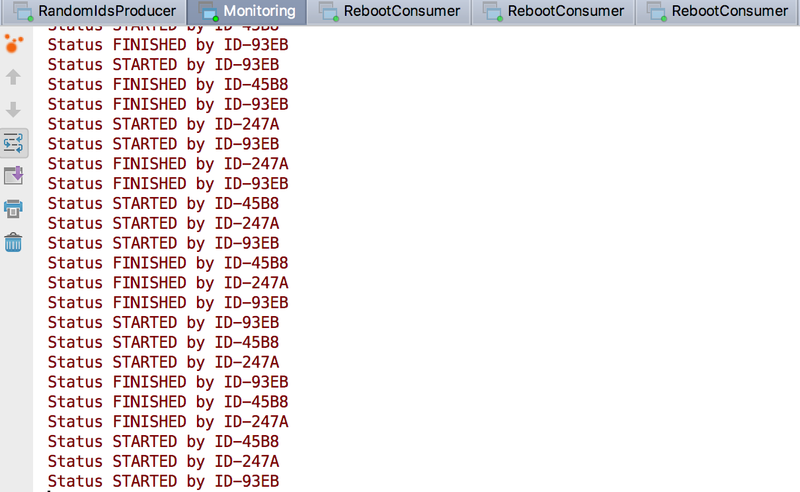 It's very simple but if we have a look to the monitoring console, we will notice reboots are now happening in parallel. As I mentioned before, this example is a dummy application. But in real life you could need to trigger a process from a verticle that runs multiple times and need to be sure this process is happening just once at a time. How can we fix this ? We can use Vert.x Shared Data structures API. In this particular case, we are going to use a clustered lock. Using the lock, we can now synchronise the reboots among the 3 nodes. Vert.x clustered lock in this example is using an emulated version of the new Clustered Lock API of Infinispan introduced in 9.2 which has been freshly released. I will come back to share about this API in particular in further blog posts. You can read about it on the documentation or run the infinispan-simple-tutorial. When clustering applications with Vert.x, there is something you need to take care of. It is important to understand that each node contains an instance of the datagrid. This means that scaling up and down needs to be done one at a time. Infinispan, as other datagrids, reshuffles the data when a new node joins or leaves a cluster. This process is done following a distributed hashing algorithm, so not every data is moved around, just the data that is supposed to live in the new node, or the data owned by a leaving node. If we just kill a bunch of nodes without taking care of the cluster, consequences can be harming! This is something quite obvious when dealing with databases : we just don’t kill a bunch of database instances without taking care of every instance at a time. Even when Infinispan data is only in memory we need to take care about it in the same way. Openshift, which is built on top of Kubernetes, helps dealing properly and safely with these scale up and down operations. As you have seen, creating clustered applications with Vert.x and Infinispan is very straightforward. The clustered event bus is very powerful. In this example we have seen how to use a clustered lock, but other shared data structures built on top of Counters are available. At the time of this writing, Infinspan 9.2.0.Final has been released. From vert.x-infinispan cluster manager point of view, before Vert.x 3.6 (which is not out yet) the cluster manager is using Infinispan 9.1.6.final and it’s using an emulation layer for locks and counters. In this tutorial we are using Vert.x 3.5.1 version. This tutorial will be updated with the version using Infinispan 9.2 as soon as the next vert.x-infinispan will be released, which will happen in a few months. Meanwhile, stay tuned!